﻿ SAS Management Inc.M_o_R®- Risk Management - SAS Management Inc.
M_o_R considers risk from different perspectives within an organization: strategic, programme, project and operational. While it links to other AXELOS Global Best Practices like ITIL®, MSP®, PRINCE2® etc.., it respects the roles, responsibilities and terminologies used outside the disciplines of programme and project management. There are two M_o_R qualification levels: M_o_R Foundation and M_o_R Practitioner. 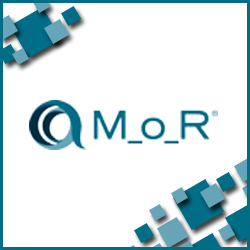 M_o_R Foundation level is suitable for any organisation or individual seeing the need for guidance on a controlled approach to identifying, analyzing and managing risk at strategic, programme, project and operational perspectives. The purpose of the foundation certification is to confirm that a candidate is able to demonstrate a knowledge and comprehension of the four elements of the M_o_R framework - Principles, Approach, Processes, Embedding and reviewing - and how they support corporate governance. The Foundation level is also a pre-requisite for the Practitioner qualification. M_o_R Practitioner is the highest M_o_R level qualification and is aimed at anyone working within a corporate governance environment that has responsibilities for identifying, assessing, planning, or managing risks, or reporting on risk management activities across the organisation. The purpose of the Practitioner level is to confirm whether the candidate has achieved sufficient understanding of how to apply and tailor M_o_R in a scenario situation. Candidates may make use of the Management of Risk: Guidance for Practitioners (the Management of Risk 'guide'), published by TSO, together with ABC Guide Part A Example Techniques guidance document. No material other than the Question Booklet, the Scenario Booklet, the Answer Booklet and the two guides is to be used.